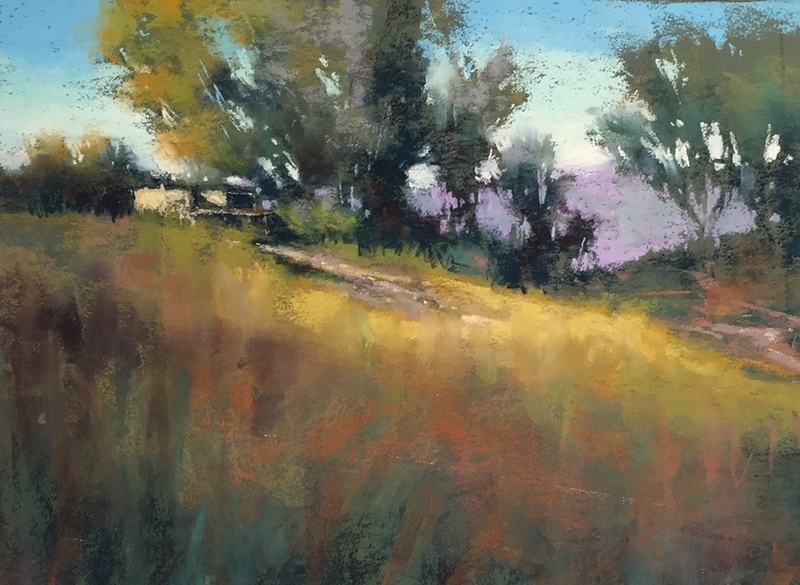 “Sleepy Afternoon”, pastel, 13 x 9, $150. Available on Daily Paintworks. This is a demo I did for a group in Raleigh, NC last year. I have fond memories of this place in Taos, New Mexico. I did the original piece while on a lovely painting trip! It’s painted on leaf green Colorfix paper. Most of it is pretty thinly painted. I got a little more bold with the foreground, but wanted a very light airy feel to the tree shapes. I think I got it!